Concerns over what experts call an opioid epidemic are continuing to grow in the U.S. Regulators and policymakers are taking a hard look at prescribing practices to mitigate the damage, but a new study shows that special attention should be paid to one vulnerable subsection of consumers. Researchers from the University of Michigan and the Geisel School of Medicine at Dartmouth have found that out of the 115 million prescriptions written for opiates each year in the U.S., 60 million go to adults with some sort of mental illness or mood disorder, such depression or anxiety. 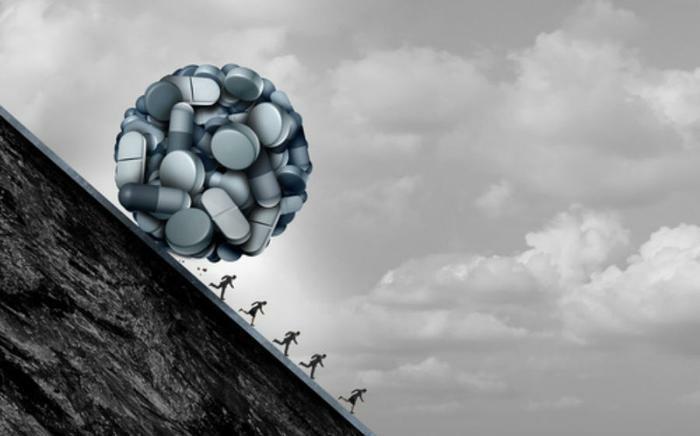 "Despite representing only 16 percent of the adult population, adults with mental health disorders receive more than half of all opioid prescriptions distributed each year in the United States," said lead author Matthew Davis, an assistant professor at the U-M School of Nursing. Further findings of the study show that a sizable chunk of the Americans who have been diagnosed with a mental health disorder are prescribed opioid drugs every year. Out of 38.6 million Americans with such a diagnosis, more than 7 million receive a prescription (18%). That’s more than triple the number of adults without a mental disorder who are likely to get an opioid prescription (5%). Study co-author Brian Sites says that these prescribing practices are extremely dangerous because people with mental illnesses are more likely to become dependent on opioid drugs. He recommends that officials re-assess current practices to better align with the best available therapies. "Because of the vulnerable nature of patients with mental illness, such as their susceptibility for opioid dependency and abuse, this finding warrants urgent attention to determine if the risks associated with such prescribing are balanced with therapeutic benefits," he said. The full study has been published in the Journal of the American Board of Family Medicine. Opioid-related deaths affecting average life expectancy in the U.S.